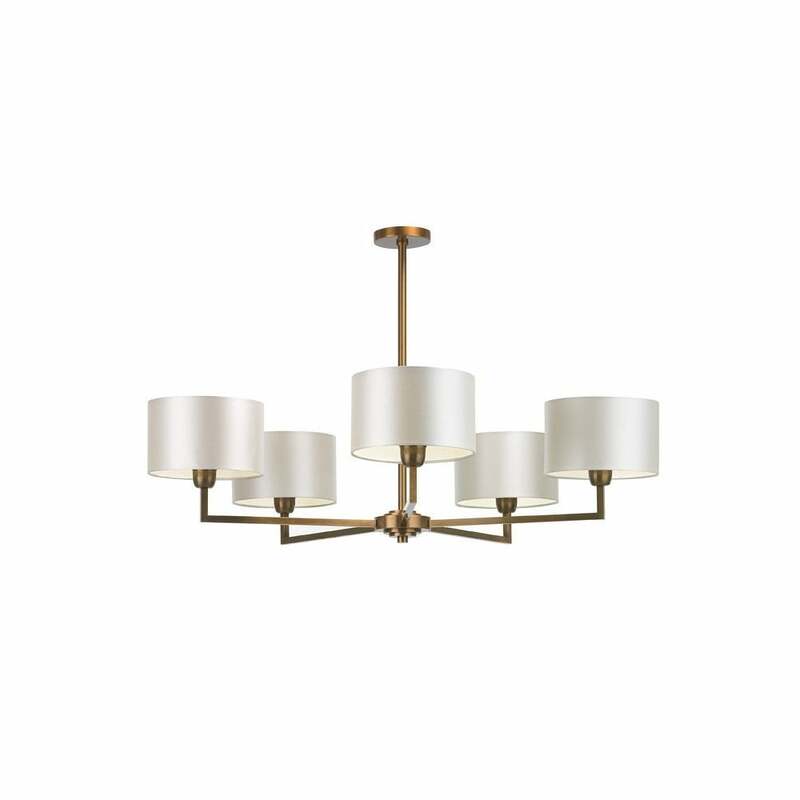 The Holt Antique Brass 5 Arm Chandelier by Heathfield & Co has a timeless appeal and endless versatility. The classic design features clean, crisp lines with understated detailing in the centre of the form. Finished in an antique brass or nickel finish, the ceiling pendant is complemented by five ivory silk shades. Beautiful in both traditional and modern homes, Holt will add a touch of class to a city apartment or enhance the ambience in a grand dining space. A wide variety of shade fabric and colour options are available. Make an enquiry for samples, tips and advice. Priced for 10" Flat Drum shade in silk with white PVC lining. Please contact us for other options.